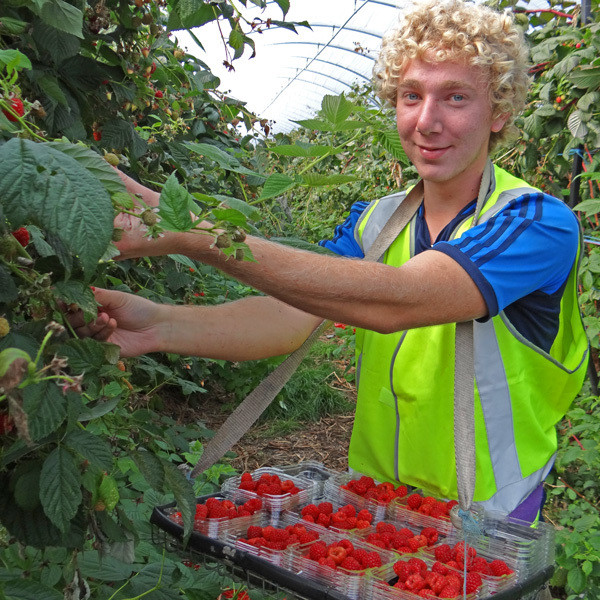 Burlington Berries is a soft fruit farm and our strawberry and raspberry crops are normally picked between November and May. Throughout the year we are busy planting, growing, monitoring the crops and maintaining and sustaining our farm infrastructure. Farm work is physically hard work but rewarding. The majority of the work is in supervised teams or groups, and all tasks involve manual work including lifting, bending and twisting. Workers need to be fit, healthy and enthusiastic. The busiest period on the farm is November to May peaking from December to March where we have up to 450 seasonal staff on site. Training is provided at all stages with team supervision. 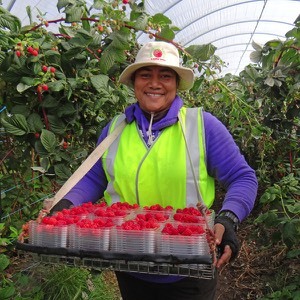 To become a good picker takes time and most pickers start reaching their potential after 2-3 weeks. 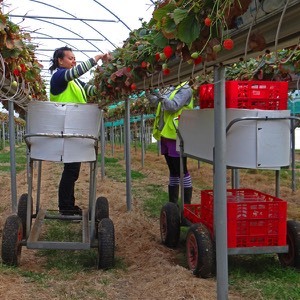 We also employ people for non-harvest work throughout the year. Before arrival we provide a Welcome Pack, which gives more information about the farm, working conditions, available on-site accommodation and a list of important items to bring. Burlington Berries is covered by the Horticultural Award and provides competitive rates of pay and aims to offer plentiful work. Many jobs, including picking are paid using a piece rate. This means that the more you pick, the more you can earn. 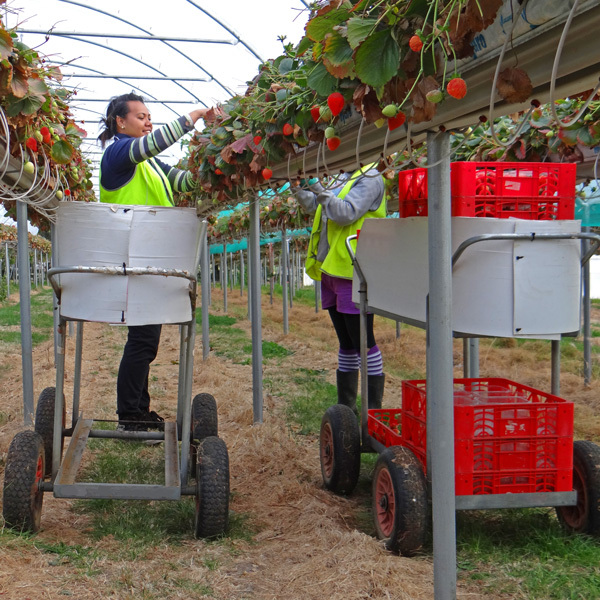 Good pickers will earn considerably more than the Horticultural Award. As the fruit needs to be picked in the cool of the day, work will often start at daybreak. Usually harvesting occurs five or six days a week, but due to the variability of weather, crop timing and market demand working hours may vary. We do not have accommodation on site. However there are independent businesses locally providing camping and shared backpacker style options. 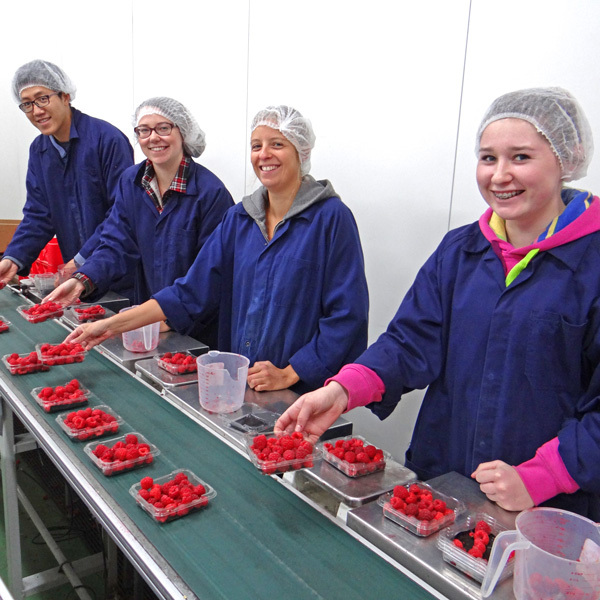 Burlington Berries is committed to providing a safe and healthy environment for all workers and visitors to the farm. Occupational Health and Safety is very important to us and we have comprehensive protocols and procedures to ensure you are safe at work.